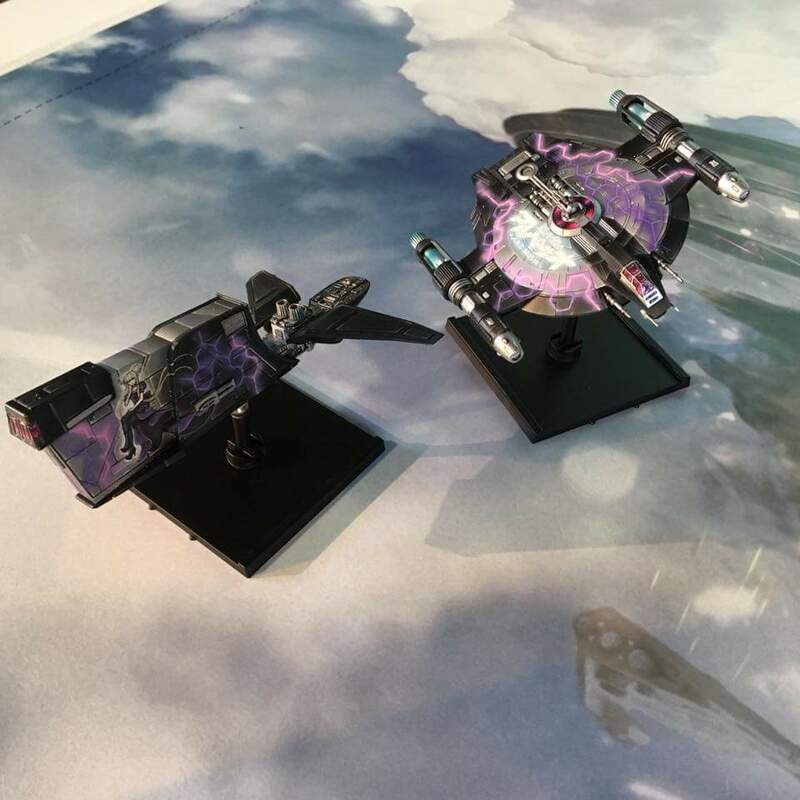 We heard back in November that our application to hold our second X-Wing Regional had been successful, queue a lot of frenzied planning as we tried to turn plans into reality alongside the Imperial Assault & Destiny regionals which preceded this, the big one. There are just ten of these events across the country this year, and to be selected to host one is from our point of view a huge point of recognition for our relatively small store run by three idiots – most of these events are I believe held by larger stores in their own much larger venues, and in far more populous areas, a quick scan of who hosts them is a whos who in the hobby retail industry! We hosted our event at a local school, QE Lower School in Crediton. You might think for such a rural location we’d have trouble selling tickets, but over 110 were sold to people across the country, I spoke to one chap from Preston on the day, though I did hear mention that someone had come down from Leuchers near St Andrews in Scotland. Players were welcomed with the delicious smell of complementary bacon butties from the school canteen, before the first of the swiss drawn rounds got underway. Aided by a hot pasty lunch (what else!) 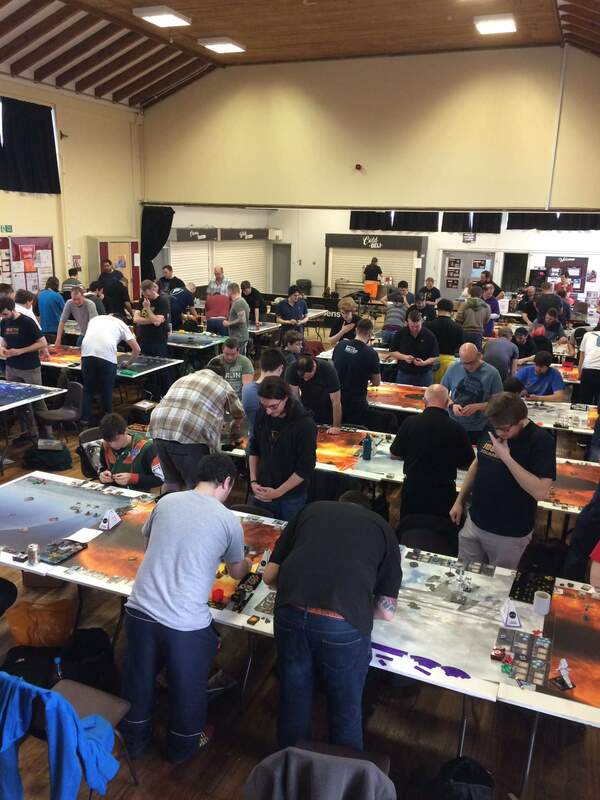 and a fully licenced bar all bar one of the players made it through the six rounds finishing at 7pm. At this point we broke for a Fish & Chip run essentially closing down our local chip shop for nealy an hour (sorry to the people of Crediton who wanted chips that night! 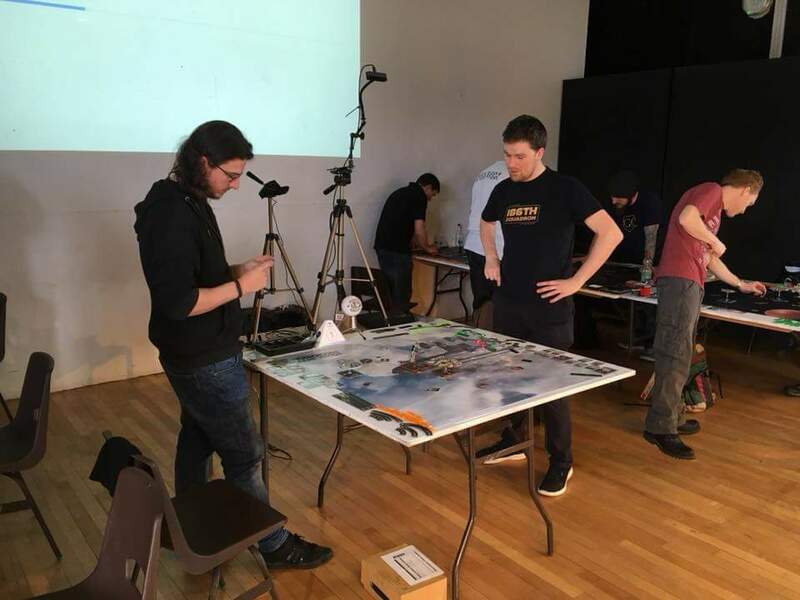 ), and also made the cut as the top 16 players went into a series of three further 75 minute elimination rounds before the two hours long final round which finally finished at 1am! 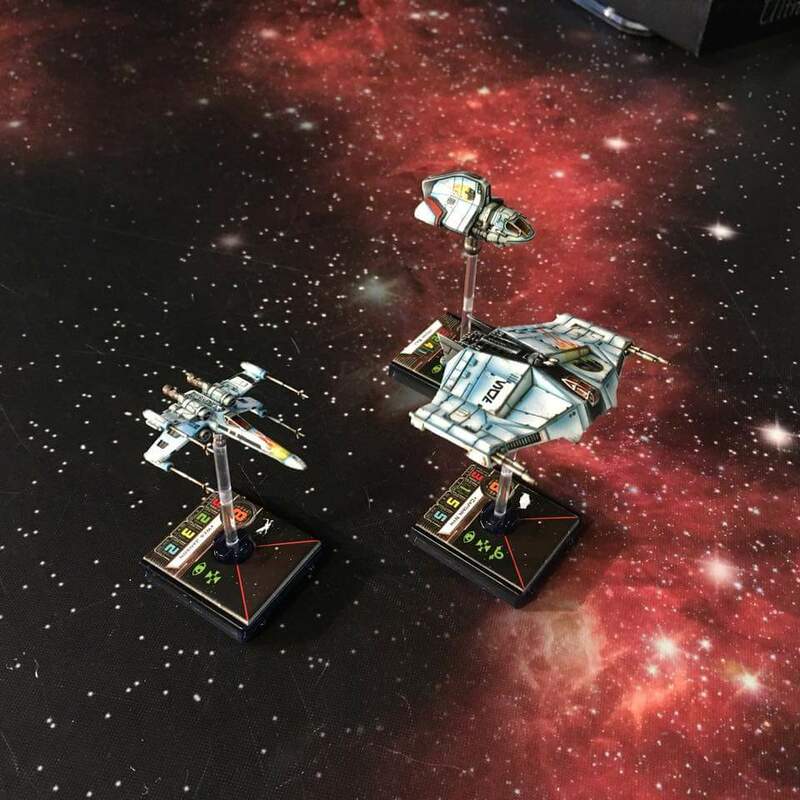 Everyone taking part got a pair of cool custom Kirton Games X-Wing & Tie Fighter alt-art cards, while the top 64 got official regional promo cards. 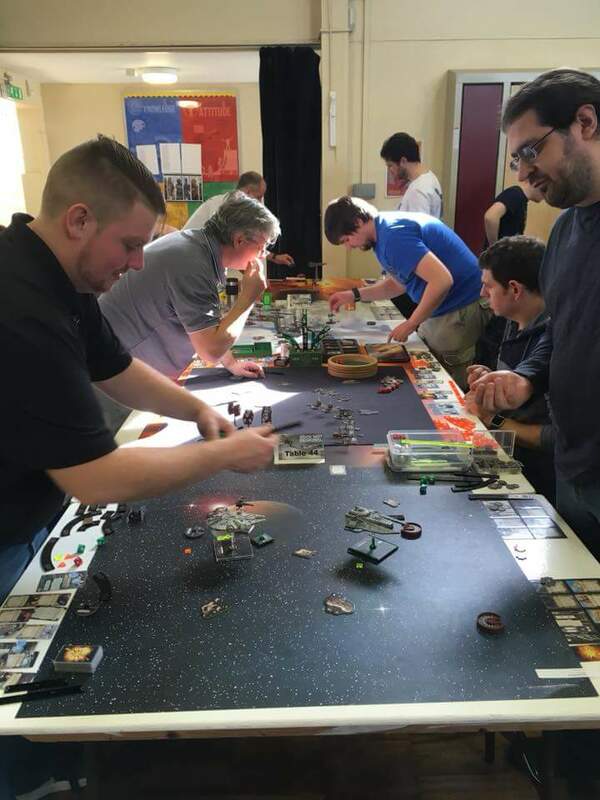 The top 16 and upwards received other official regional swag including tokens, dice, templates and ultimately a trophy for the winner – who also received a bye at the National Championship. 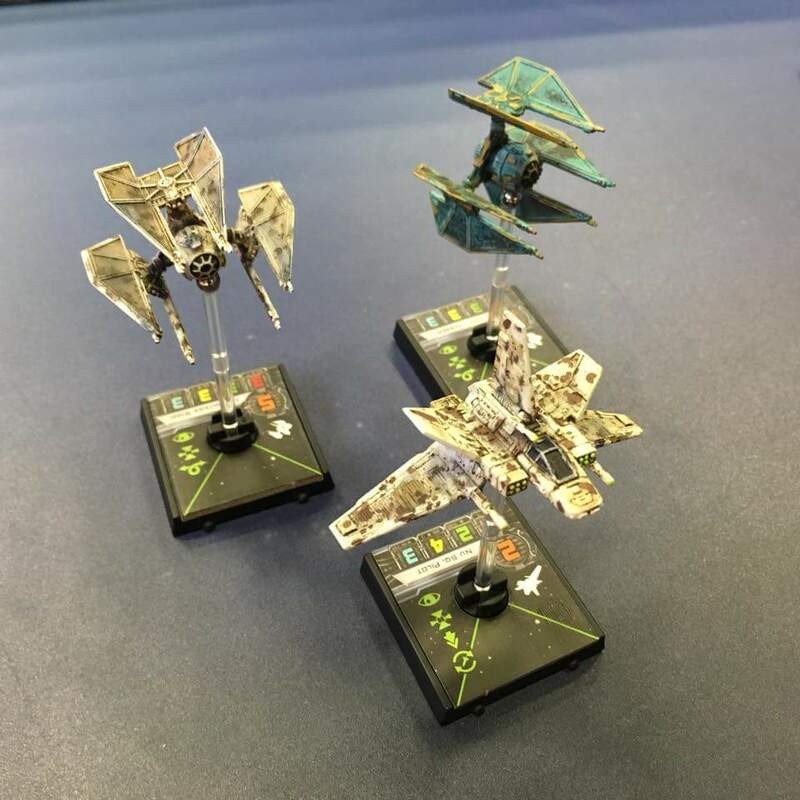 We also awarded prizes for best repainted Squadron and best costume! 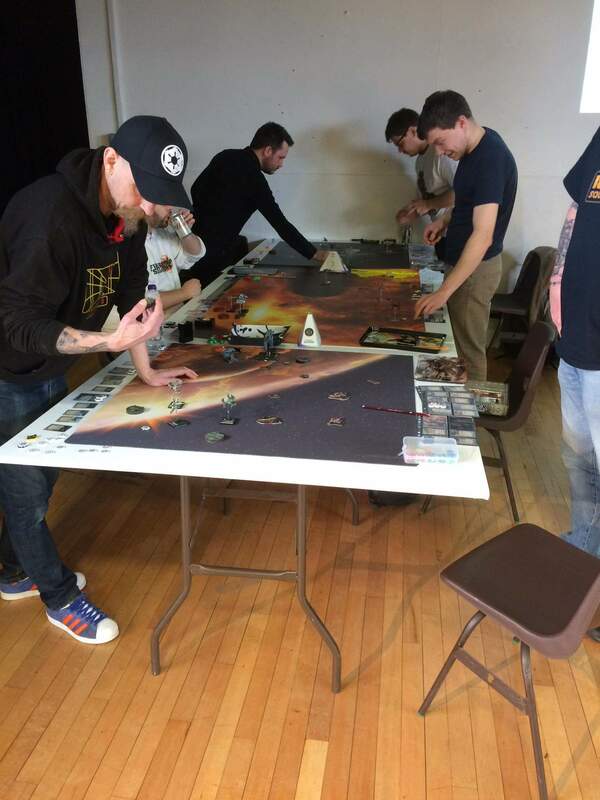 Our eventual champion was Ross Pearson who ran Dash Rendar and Poe Dameron, from Bristol, who defeated Ben Saunders in the final. Dominic Flannigan took the Best Squadron and Steve Rumpold the best costume as a Rebel Trooper. Huge thanks to Sean O’Neil who was our chief judge for the day! The full results are of course on the facebook & event page! 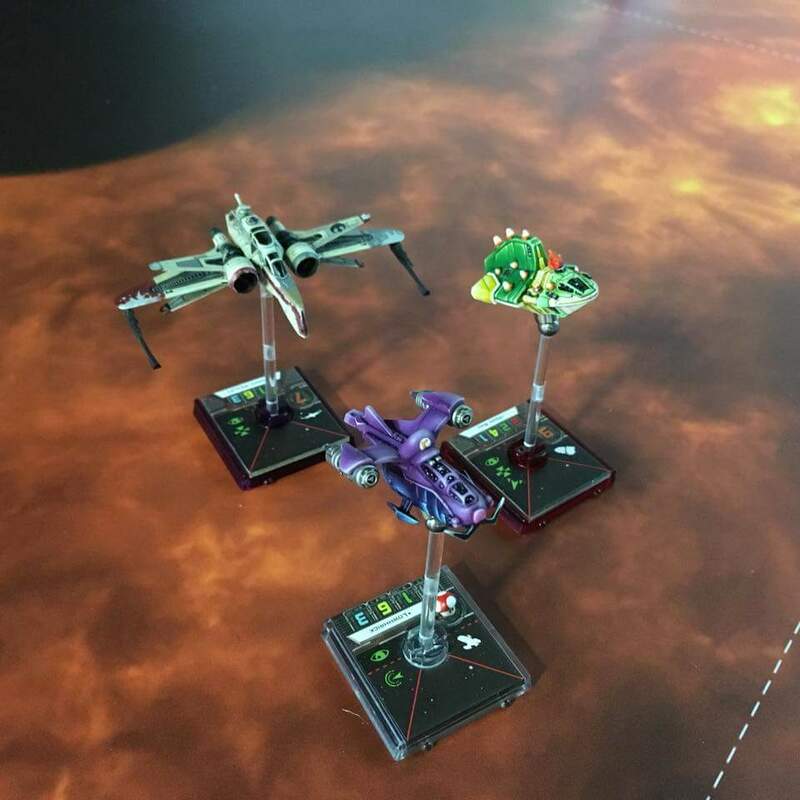 Other entries for the painting competition.